There once was a family of bears – there was Papa Bear, Mama Bear, and two little male cubs. They lived in a small village called "Brown Town". The land around them was desert-like and the climate was very dry. The family of bears was very poor but they lived life the best they could. One day, Mama Bear gave birth to a female cub. She named her new cub, Tehya. As Tehya grew up in the house of bears, she realized she was the different one in the family. Mama Bear and Papa Bear seemed to love her brothers more than they loved her. Tehya felt unloved, unwanted and unaccepted. She yearned to feel Mama and Papa Bear’s love and affection, but it seldom ever came. In the early years, dread was always in Tehya’s little tender heart as Papa Bear sometimes roared loudly and behaved foolishly. It seemed Tehya was always afraid and she shed many tears. She wanted to feel safe, to be told all things would be fine, but to Tehya’s sorrow, loving arms didn’t hold her, and loving words were rarely spoken. Then, on a lonely dark night, as Tehya longed for affection at the age of nine, a very shocking and sad affair occurred, an event that devastated the young bear. Tehya’s bear-cub spirit within her was crushed and shattered, and on that night, Tehya’s innocence disappeared forever. Mama Bear and Papa Bear were angry and blamed Tehya for the devastation. Tehya did not understand and cried out for Mama Bear and Papa Bear’s love and comfort, but they refused to give her the consolation she so desperately needed. Tehya’s heart was broken and terror and loneliness dominated the cub’s life from that day forward. Over time, Tehya grew to be a very angry, shy and frightened little bear. In school, Tehya was always the biggest girl-bear. She felt embarrassed, clumsy and ugly. She never had a boy bear-friend, was never asked to a dance in the den and never had many girl bear-friends. As her loneliness increased, and as her heart yearned for love, she dreamed that one day she would become a famous bear in Bear-World and then, she believed, life would be as sweet as honey. Tehya wanted to sing, but Fear, a cruel and terrifying spirit, always raised its ugly head and the little bear was too frightened to let her voice bless those around her. But one day, somehow, she found the courage to sing and music flowed out from within her. Tehya was thrilled! 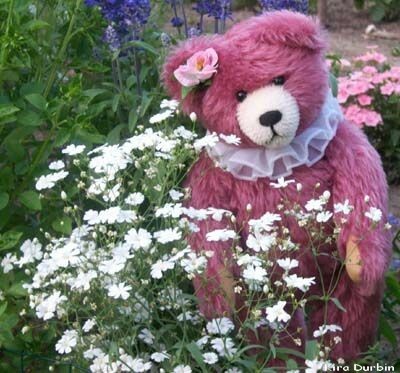 For the first time in her life, she felt special, seeing as other bears loved her voice and they became attracted to her. This had never happened to her before. It was thrilling for the little bear! Then one day, Tehya met a bear named Tala, and he wanted to be her boy bear-friend! Now for the first time in her life Tehya had a boy bear-friend! A year later the two little bears became one, and soon after, Tehya was blessed with a cub of her very own. Tehya named her baby girl Lomasi, which means pretty flower. But again, Tehya felt the pain of rejection for Tala and his family did not want her and they did not want Lomasi. And so Tehya left Tala and took her cub to the Land of Dreams. She believed her dreams would come true in this new land, and she would be known around Bear-World and be loved by many bears. She would finally have the love she always longed for. The Creator had been in Tehya’s heart since she was a young cub. While she lived in the Land of Dreams, she wanted to join in worship with other bears who also believed in The Creator. In the Cave of Worship, Tehya again experienced pain and rejection. She left the Cave and The Creator in search of a new voice. 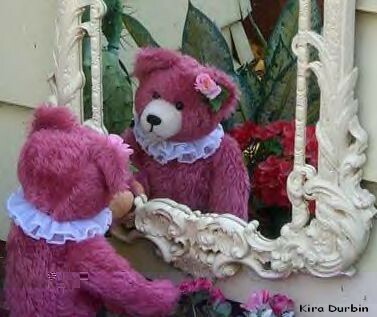 The New Phase cluster appealed to the little bear and she learned all about the world of Self. But as time passed, Tehya found her heart empty and void and she knew the New Phase cluster was not for her after all. Years came and went, but, unfortunately little happened in the Land of Dreams. Feeling defeated, rejected, and never good enough, Tehya took Lomasi back to Brown Town. The little bear was so unhappy and no longer wanted to live. It seemed no one wanted her. She thought it was time to surrender to the misery and never awaken from her hibernation, but The Creator loved her so much He would not allow her to depart from Bear-World. A new flicker of hope grew in Tehya’s heart. As time passed, faith grew brightly within the little bear. She began to give her heart back to The Creator a little at a time. Somewhere, deep within her heart, Tehya believed The Creator would bless her with a mate who would love and cherish her. And that day finally came. Yes, Tehya found Banjora. He was certainly a gift from The Creator. The two little bears became one and Banjora brought Tehya to the Land of the Kangaroo. Now, there is only happiness in Tehya’s heart. She has a new mate and a beautiful new relationship with The Creator. She knows now that she is loved; she is blessed and best of all, she has eternal life in the Kingdom of The Creator. Today, Tehya sings for The Creator and the Spirit of the Holy One fills her heart with joy. Tehya is in a new season of her life, a life she will spend comforting other bears in bear-song. Yes, there is a beautiful future on the horizon for the little bear named Tehya.